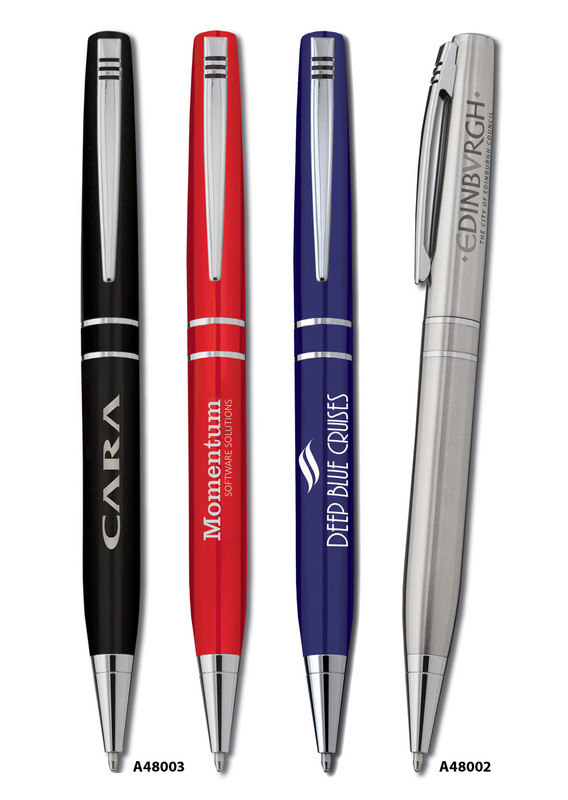 A contemporary styled ballpen in brushed stainless steel or gloss black, red or blue lacquer with bright nickel fittings. A48002 Valencia ballpen by in brushed stainless steel with bright nickel fittings. Fitted with a metal Cross style black ink refill. A48003 Valencia ballpen by in gloss black, red or blue lacquer with bright nickel fittings. Fitted with a metal Cross style black ink refill. 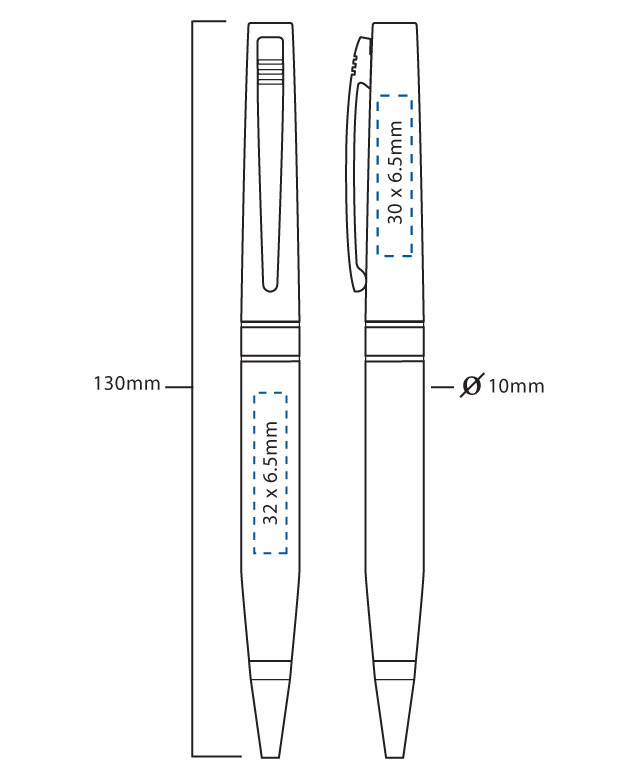 The box illustrated below is a recommendation for the Valencia range and is charged at additional cost to the unit price of the pen. 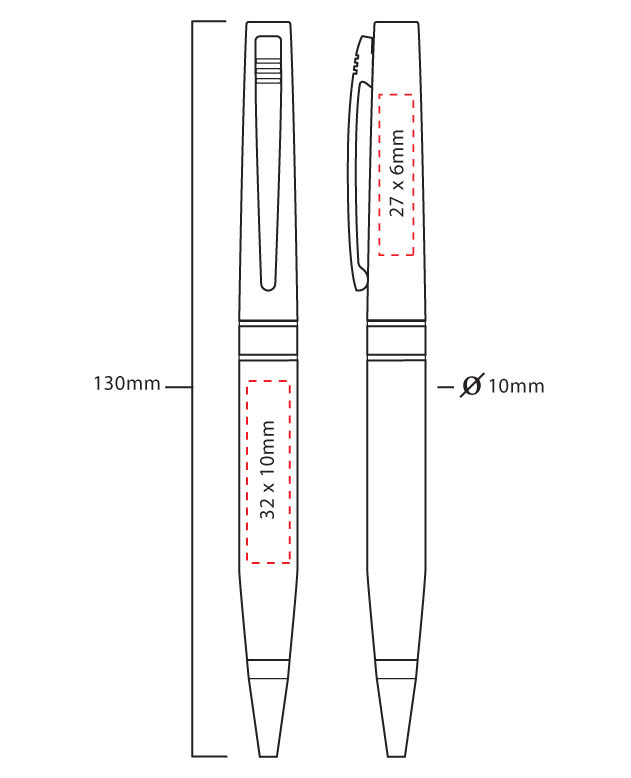 The Valencia ballpen can be multi-tone laser engraved on the stainless steel finish only to enable two or three coloured designs to be reproduced using different shades of grey to represent different colours. 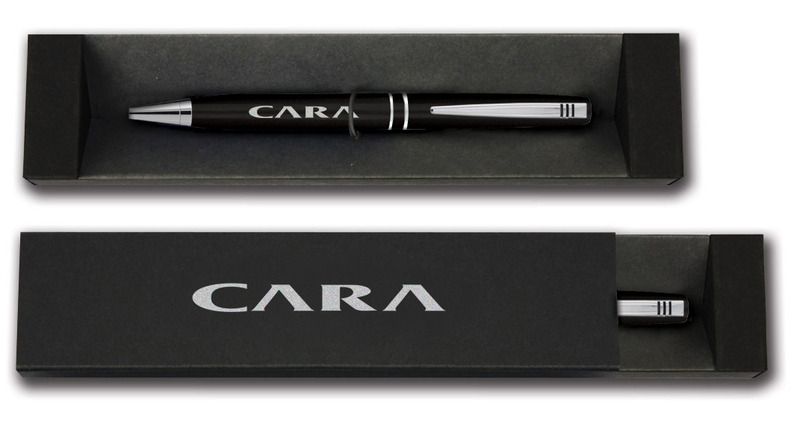 The Valencia ballpen is supplied with a metal Cross style black ink refill.